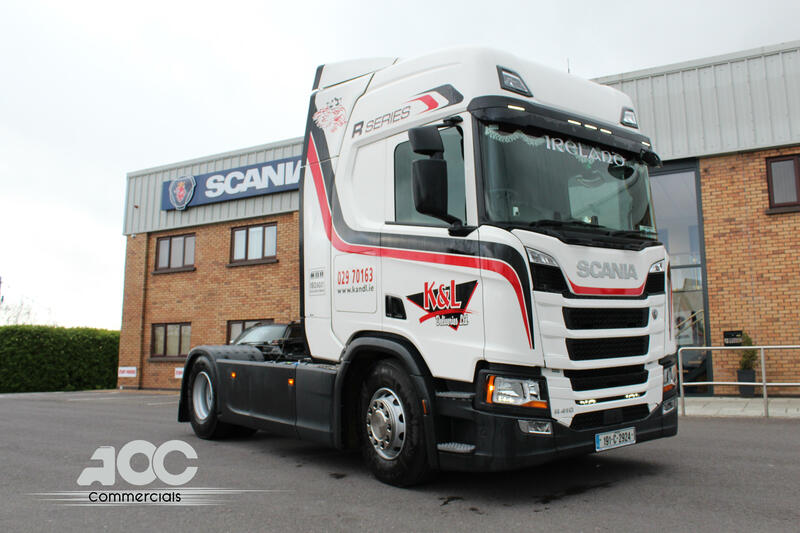 K&L Deliveries recently took delivery of this Scania R410 New Generation tractor unit from AOC Commercials. The new R-series delivers comfort, visibility and control. AOC Commercials are located in Springhill, Carrigtwohill and are Cork’s Authorised Scania Dealer. They have been supplying new Scania vehicles across Munster and beyond since 1994.